Union Cultural Center provides an experiential educational space for teaching, sharing, and creating vibrant culture. We aim to connect people across generations and ethnicities through the traditional art forms of music, dance, and food, to strengthen our community and uplift spirits. 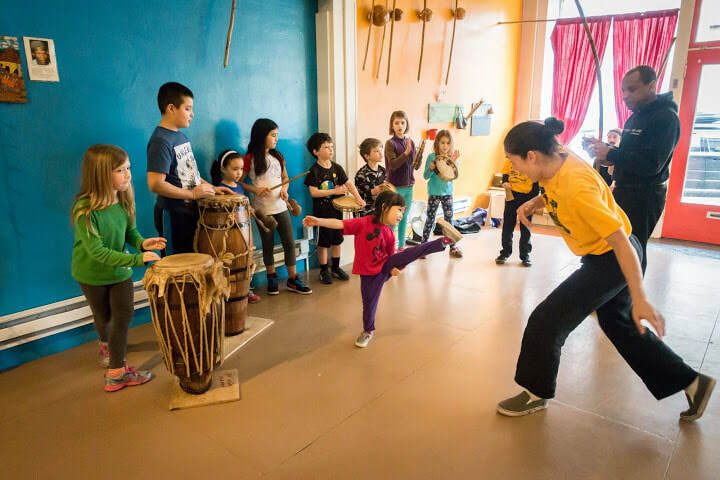 We offer classes in Capoiera Angola, West African drum and dance, Bomba, Orisha dance, and more! Our studio is available for rent. Whether you're a teacher looking to host regular classes or you need a one-time venue, Union Cultural Center would love to partner! ICAF Seattle is thankful to our sponsors for their support to continue our work. Make a tax deductible donation to support programming that's creating a thriving community through cultural arts.